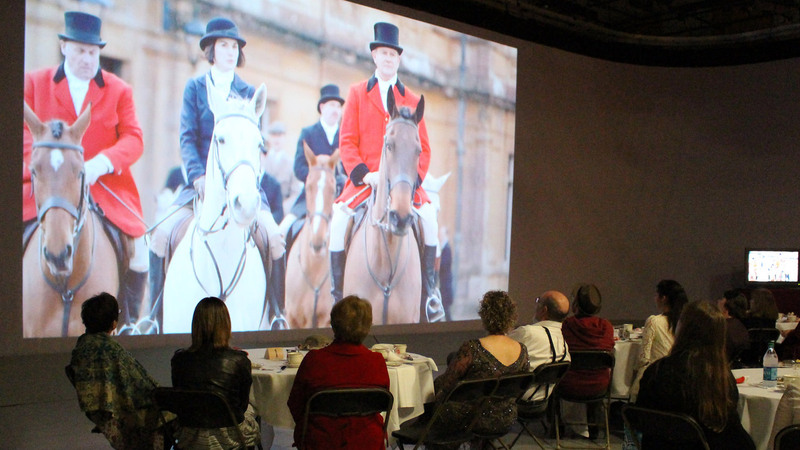 Members viewing a screening of Downton Abbey in WFSU Television's Studio A. When you donate to WFSU, you help fulfill the mission of Public Broadcasting; you show your support and help us continue the finest quality television, radio, and media services in the area. There are many different ways you can contribute to WFSU. Membership at any level comes with benefits. As a donor, you join other contributors who do more than listen, watch, and go online. Weekly updates with the WFSU member e-newsletter, notification of upcoming events, plus opportunities for special sustaining-member-only gifts and event invitations. A special WFSU Sustainer MemberCard, which gives you discounts at local restaurants (usually 2-for-1 dining), and arts and attractions, every-time savings at participating online merchants, AND discounts for golf, health and wellness, and bed and breakfasts. A WFSU MemberCard, which gives you discounts at local restaurants (usually 2-for-1 dining) and arts and attractions, plus every-time savings at participating online merchants. WFSU's volunteers play an important role in continuing our great programs. Depending on your interests, we have several volunteer opportunities. Hundreds of local businesses, non-profits, and foundations partner with WFSU each year through sponsorship and underwriting opportunities. Under the WFSU Corporate Sponsorship Program, companies have access to a wide array of media serving a worldwide audience with emphasis on the university community and the Tallahassee/Panama City area. With a gift to us in your estate or financial plan, you help preserve the future of public media in the region. WFSU gratefully accepts honor and memorial gifts and treats each gift with individual attention. An honorary gift is usually made to honor people who are still living. A gift "in memory of" is a thoughtful tribute to the memory of someone who has passed away and is a wonderful gift to dedicate to the family. Have an old car, boat, motorcycle, or personal watercraft taking up space in your driveway? Avoid the hassles of selling it and donate it to WFSU. The proceeds of the sale of your vehicle benefit WFSU and may be tax deductible.